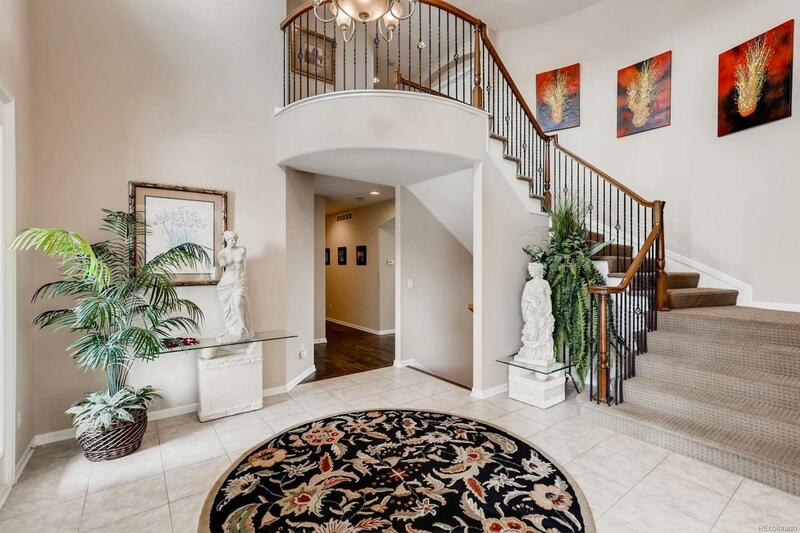 Elegant luxury home in gated community. The bright & open floorplan features a gourmet kitchen with stainless steel appliances, gas cooktop, granite countertops with island & separate breakfast bar. 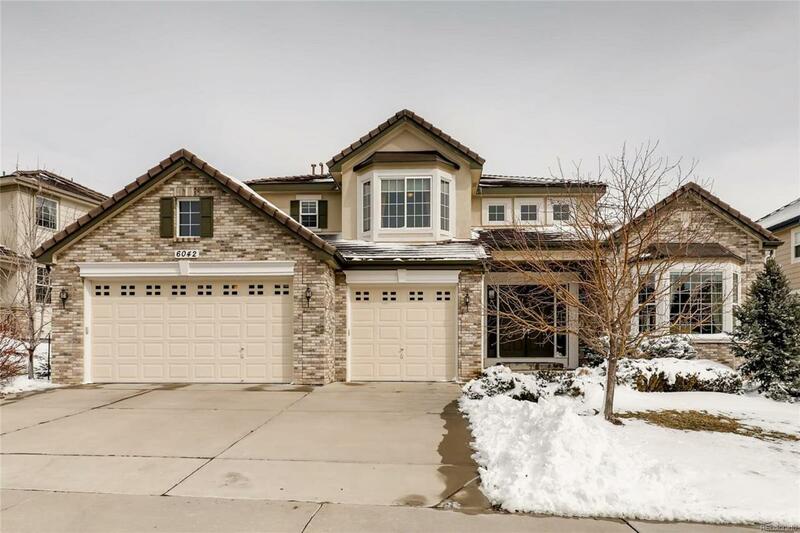 Stunning features throughout this home from wrought iron balusters to gorgeous hardwood floors on the main level & in the bedrooms. The master suite features a retreat with coffee bar, dishwasher & 3 sided fireplace. The huge bathroom has a stunning walk-in closet with custom organization system. There are 2 bedrooms with jack & jill bath & walk in closets plus a guest suite with bathroom. 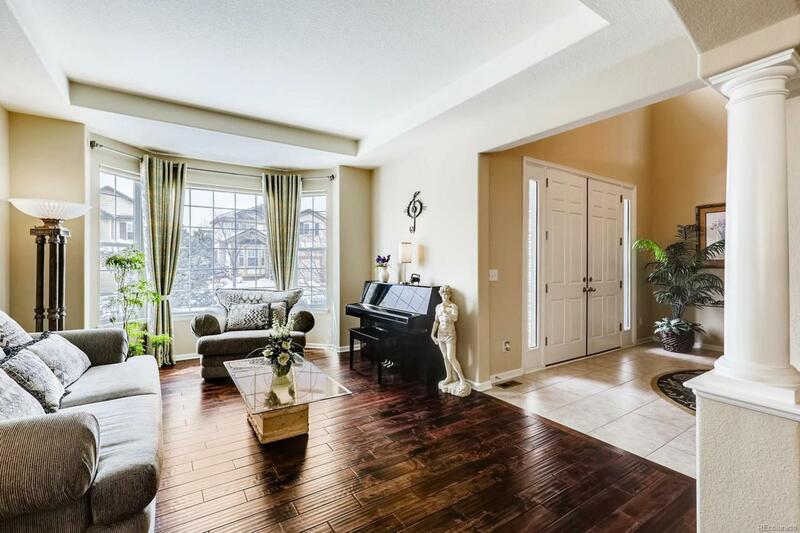 On the main level there is a great family room, living & dining room plus a study with en-suite bath that could be a bedroom as well & a fantastic mud room plus laundry & another bath for guests. Outside you will love the covered patio & private yard. 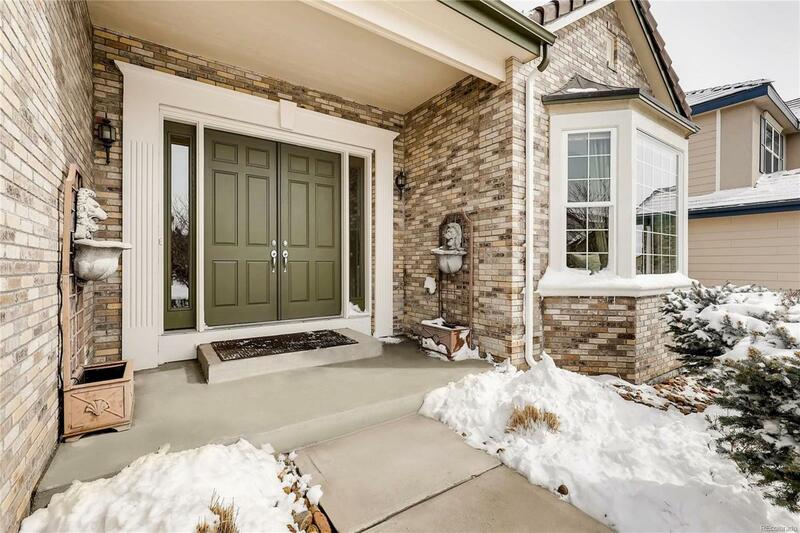 A sought after location neighborhood pool, clubhouse, tennis courts & trails to parks, Cherry Creek State Park & Award winning Cherry Creek Schools!